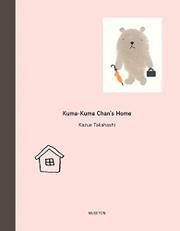 Kuma-Kuma Chan (“cute little bear” in Japanese) stars in his second book to be translated for English-speaking audiences. In this episode, a young man receives an invitation to the animal’s home. Although the trek involves catching a train, riding a bus, and walking, he obliges. Soft, earth-tone scenes placed against generous cream-colored expanses depict their pleasant day together. The unhurried pace and well-honed routines may remind listeners of visiting an elderly relative. The home even “smells slightly of bear.” The pair has tea, unsure of what to discuss at first, so they “watch the dust floating around in the afternoon sunbeams.” Conversation picks up by dinnertime, when salmon is served. The evening concludes with companionship in front of the TV until it is time for the guest to board the bus. The portrayal of such a visit rings true, acknowledging moments of uncertainty and offering a model for what to notice and how to navigate silence. The first-person account, told from the friend’s perspective, is quietly affectionate and descriptive, never judgmental.